Reclamation of Drastically Disturbed Lands. American Society for Agronomy/Soil Science Society of America Monograph 41. Madison, WI: American Society for Agronomy/Soil Science Society of America. Bizoux JP, Brevers F, Meerts P, et al. (2004) Ecology and conservation of Belgian populations of Viola calaminaria, a metallophyte with a restricted geographic distribution. Belgian Journal of Botany 137:91 104. Daily GC, Alexander S, Ehrlich PR, et al. (1997) Ecosystem Services: Benefits Supplied to Human Societies by Natural Ecosystems. Issues in Ecology 2. Washington, DC: Ecological Society of America. Daniels WL (2005) Can we return heavy mineral sands mines in Virginia to productive agricultural uses? In: Akser M (ed.) Proceedings of the Heavy Minerals 2005 Conference, Ponte Vedra, Fl., Oct. 9 13, 2005, pp. 1 7. Littleton, CO: Society for Mining, Metallurgy and Exploration. Dunger W and Voigtlander K (2005) Assessment of biological soil quality in wooded reclaimed mine sites. Geoderma 129: 32 44. Environmental Consultancy University of Sheffield and Richards, Moorehead, and Laing Ltd. (1994) The Reclamation and Management of Metalliferous Mining Sites. London: The Department of the Environment Minerals Division, HMSO. Gregory CE (1980) A Concise History of Mining. New York: Pergamon Press. Jacob DL and Otte ML (2003) Conflicting processes in the wetland plant rhizosphere: Metal retention or mobilization? Water, Air and Soil Pollution: Focus 3:91 104. Jacob DL and Otte ML (2004) Long term effects of submergence and wetland vegetation on metals in a 90 year old abandoned Pb Zn mine tailings pond. Environmental Pollution 130: 337 345. Otte ML, Matthews DJ, Jacob DL, et al. (2004) Biogeochemistry of metals in the rhizosphere of wetland plants an explanation for 'innate' metal tolerance? In: Wong MH (ed.) Wetland Ecosystems in Asia: Function, Usage and Management: Developments in Ecosystems 1. Amsterdam: Elsevier. Perrow MR and Davy AJ (eds.) 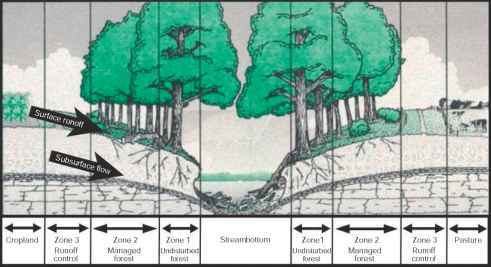 (2002) Handbook of Ecological Restoration: Volume 1, Principles of Restoration. Cambridge: Cambridge University Press. Perrow MR and Davy AJ (eds.) (2002) Handbook of Ecological Restoration: Volume 2, Restoration in Practice. Cambridge: Cambridge University Press. Ritcey GM (1989) Tailings Management Problems and Solutions in the Mining Industry: Volume 6, Process Metallurgy. Amsterdam: Elsevier. Topp W, Simon M, Kautz G, etal. (2001) Soil fauna of a reclaimed lignite open cast mine of the Rhineland: improvement of soil quality by surface pattern. Ecological Engineering 17: 307 322. Willems JH (2004) The present state of the zinc tolerant flora in The Netherlands (Hoe is het eigenlijk met onze zinkflora gesteld?). Natuurhistorisch Maandblad 93: 21 25.